It's come to my attention that there has been movement on the Wiz-War front. In 1983, Tom Jolly had one of his game designs published and it was followed in 1985 by an expansion set, another coming along in 1993. 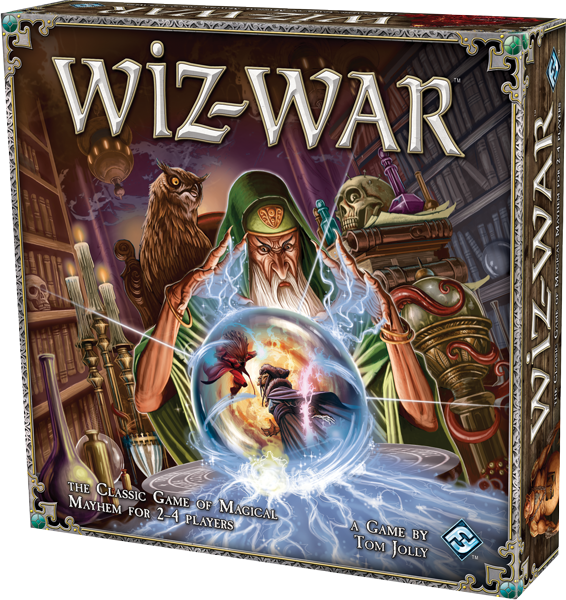 The game pits two to four players, as wizards, against one another in a quasi-arena contest to defeat one another. This coming year, 2012, Fantasy Flight Games will release a new version with all new artwork, miniatures for the principles, and a few teeks to the rules. Follow some of the links on the years above to check out the evolution of the game!